We have further evidence that The Defenders season 2 isn't happening. Netflix has had a tremendous amount of success with their Marvel shows. The whole thing culminated last year with The Defenders, which was an eight-episode crossover event between Daredevil, Jessica Jones, Luke Cage and Iron Fist. The event series was generally well-received, but despite that, it looks like the whole thing was a one-and-done proposition. That is, if Jessica Jones star Krysten Ritter is to be believed. Jessica Jones season 2 is getting ready to drop on Netflix, just in time for International Women's Day. 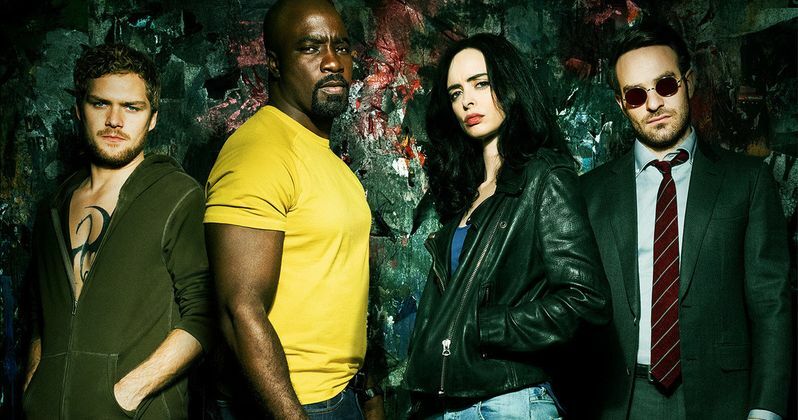 As such, Krysten Ritter has been promoting the upcoming season and, in a new interview, she was asked about the possibility of The Defenders season 2. While the actress admits she had a good time making the show and would be happy to do it again, she doesn't sound confident that Netflix and Marvel are planning on making it happen. Here's what she had to say about it. "Y'know, I had a great time doing The Defenders and honestly, it was such a good experience that I would even do it again. I don't think we are doing it again. It was never intentioned to do it again, but, you know, if I was given another opportunity, I would ... My heart is in Jessica Jones, but I did have a great time doing The Defenders with the guys. We had a good time. It is what it is." This isn't the first we've heard of Defenders being a single-season event. During San Diego Comic-Con, Head of Marvel Television Jeph Loeb said, "I don't know. We haven't really gotten to that place. I don't know that there will be a Defenders 2." Couple that with what Krysten Ritter is saying here and it's looking more and more like we won't see the heroes of Hell's Kitchen united on the small screen again. The question becomes, why not do Season 2? There are a few possible reasons. For one, Charlie Cox, Krysten Ritter and some of the other stars of these Marvel shows have been at it for several years already. While it's not clear how far their contracts extend, it's reasonable to assume that they're going to want to move on and pursue other projects at some point. There's also the matter of other shows that have been added to the mix, like The Punisher. It could just be a matter of shifting focus. For now, there's plenty more Marvel heading to Netflix. In addition to Jessica Jones season 2, Luke Cage season 2 recently debuted its first teaser and was given an official June release date. Plus, we've got Daredevil season 3 coming our way this year. Iron Fist and The Punisher also have been given a second season order. And who knows what Marvel projects will make their way to Disney's streaming service, which launches next year. So even without The Defenders, there's plenty to go around. This news comes to us courtesy of Vulture.